Getting married is a momentous and life-changing decision that couples celebrate. Thoughts of how to handle untangling these merged lives in the event of divorce is not a conversation newly-engaged couples want to have. But, as the age of a person’s first marriage continues to increase, spouses are bringing more assets and liabilities into the relationship they may wish to protect if the relationship does not work out. Prenuptial agreements serve as the standard method of legally establishing what property a spouse would be entitled to receive in divorce, and if alimony will be paid. One type of asset, newly created by the demands and capabilities of developing technology, are digital assets. These assets exist exclusively as electronic records or interests, and can range from bitcoins to music libraries. Appraising the value of these assets can be tricky, given how new they are and the personal nature of most, but the owners often have vested interests in retaining control and possession. 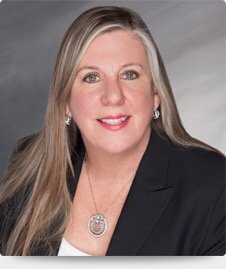 Addressing property division before there is a problem will make the divorce process easier, less expensive, and less likely to involve complicated disputes. Florida regulates the types of provisions that are permissible in prenuptial agreements to prevent the inclusion of terms that violate public policy, especially those related to the support of children. 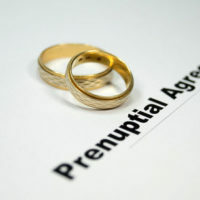 Thus, having a basic understanding of what can be included in prenuptial agreements, as well as factoring in the unique characteristics of digital assets, will allow couples to create prenuptial agreements that reflect life in the 21st century. To reiterate, prenuptial agreements are primarily concerned with how property will be divided upon divorce, or the occurrence of some other event, including separation and death. Property, for purposes of these agreements, refers to any interest a party has in personal, real, tangible or intangible types of property, including all forms of income. Basically, a couple is permitted to outline the rights and obligations of each spouse over all types of property, regardless of when or how it was acquired. This means the agreement can govern distribution of both assets brought into the marriage and those obtained during the marriage itself. In addition, the prenuptial agreement can also determine how property will be managed, controlled and disposed of if the relationship ends. As it concerns digital assets specifically, such as apps, movies and games, the easiest route is to keep these accounts as separate property that goes with each spouse upon divorce. Because separate property can become marital property if the value increases during the marriage due to the couple’s combined efforts and through the use of marital funds, it is important to clearly designate significant assets, such as businesses, as separate, and to obtain an appraisal before the prenuptial agreement is executed. Getting an appraisal at this point will make it much simpler to later calculate the offset to be paid to the other spouse if divorce occurs. Alternatively, the couple can choose to have shared or joint accounts, but agree on when and how they would be appraised, valued and credited in divorce. In addition, some digital accounts are transferrable, which should be noted and settled within the prenuptial agreement. Finally, many types of digital property can be freely copied. A common example is family photos, and a couple can agree to the extent to which this type of digital property can be copied and shared. A provision prohibiting the sale of photos may be a good idea since the person who took the photo holds the legal right to sell and distribute it. Marriage is a big step that should be taken with due caution about the consequences of things not working out. Talking to a family law attorney about the need to protect present and future assets should be a part of this process. A prenuptial agreement can take the guesswork and uncertainty out of property division in divorce, a huge issue of contention and expensive litigation. The Fort Lauderdale law office of Joyce A. Julian, P.A. can assist you with drafting a prenuptial agreement that accurately reflects the financial situation of each party, including leaving out unnecessary language that could lead to legal complications. Contact the office today to schedule a free consultation.